The theme of isolation is predominantly linked to the figure of the mad scientist. Traditionally the doctor or scientist in a horror film is an outcast figure that goes against the “normal” social order. Through the first part of Frankenstein, Henry shines with a glow of intensity that progressively diminishes as the monster comes into the foreground. Henry’s “madness” is contrasted by his fiancée’s and his father’s yearning for conventional domestic life. He has just recently proposed to Elizabeth but then retired to complete his experiment. He has become an alien in all the social categories which accommodated him, refusing both the established domestic and academic givens that were available to him. There is a clear delineated structure in the film. The first part shows Henry as a rebellious character against the traditional values of his community, a monster in a way, until he produces an actual fiend more powerful and dangerous than himself. As Whale switches the focal point of the diegesis, our investment of affect is also displaced. 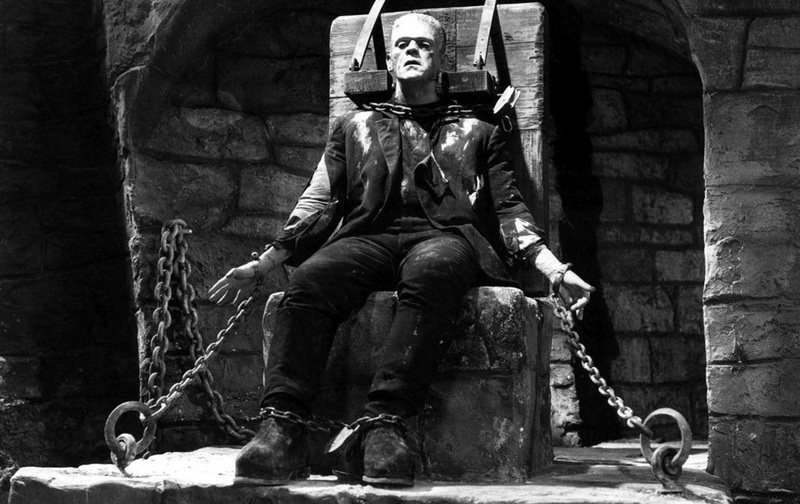 In the first part the viewer reacted against the repressive patriarchal force of Baron Frankenstein. With the monster as the alien figure, Henry becomes subjugated to the commodity system he so fiercely opposed. In the words of Moretti: “the enemy of the monster — will always be, by contrast, a representative of the present, a distillation of complacent nineteenth-century mediocrity: nationalistic, stupid, superstitious, philistine, impotent, self-satisfied.” (68) With this reversal, the oppression the monster is subjected to at the hands of Fritz and of Henry start to call the sympathies of the viewer in a sequence that culminates in the drowning of Maria. The monster narrative as any other classical Hollywood subgenre incorporated into its discourse several established narrative tropes. One of the most noticeable is the typification of characters. We usually encounter Jung’s basic archetypes: the Self, the Shadow and the Anima projected in the hero, the villain/monster and the heroine respectively. But there are also new additions which have come to be recognized as prototypes of the genre: the mad scientist in love, which was mentioned earlier, traditionally in company of an “Igor-character”: a hunchbacked or otherwise crippled assistant. In Whale’s Frankenstein, this latter character was added to the narrative and played by Dwight Frye, the same actor who played Renfield in Browning’s Dracula. Something that we could call the traditional “man of science” is another prominent character in horror films. Both Dracula (Dr. Van Helsing) and Frankenstein (Dr. Waldman) present this character as a representative of the dominant system of knowledge and in opposition to the mad scientist; interestingly, both characters are played by Edward Van Sloan. This type of characterization which might appear a bit rigid also distils an allegorical air. We have suggested how the relationship between Henry and the monster could be interpreted in different ways: as a kind of doubling –The monster as Doppelgänger of Henry–, as a clash between capital and wage labour or a dialectical shift of ideologies. As I argued above, Henry Frankenstein in his opposition to domestic life and traditional academia is a rebellious and alienated figure. 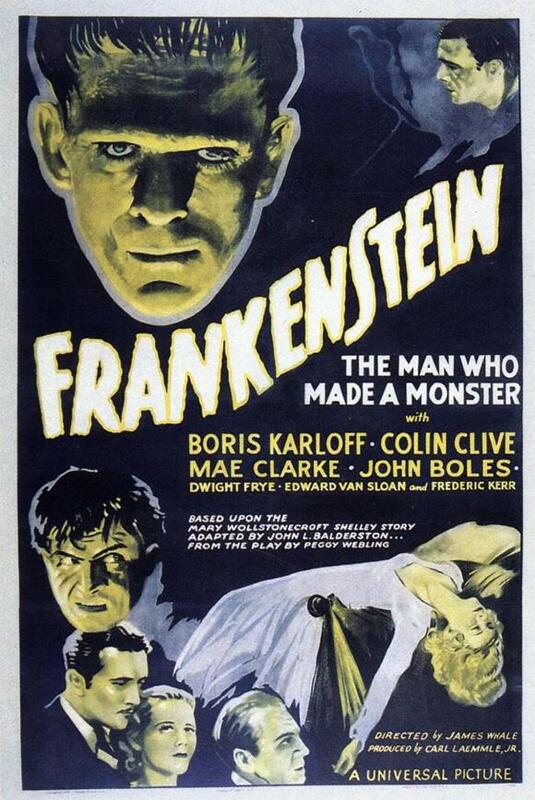 In producing/manufacturing the monster what emerges is a sort of double but also Frankenstein’s antithesis. Another relevant opposition here is the one between Baron Frankenstein and the Bürgermeister. In the unspecified abstract diegetic space of the film, Baron Frankenstein is the symbol for nineteenth Century European aristocracy in a world-system that is coming to a change. Economic recession and the social maladies that came with it was often the theme of many motion pictures of the time. Dramatically staging familiar situations like the failing of banks (American Madness), violence and racism in a hard-work prison (I am a Prisoner from Chain Gang), unemployment and Hobohemia (My Man Godfrey) or exploitation and harsh working conditions (Modern Times), Hollywood four major studios directly approached and represented external reality. Universal, as mentioned above, took a different path based on the success of 1931’s Dracula, and went to produce a cycle of horror films that include many of the classical and canonical specimens of the genre. By doing this they were apparently avoiding to respond to their social and historical environment. However, as I have been trying to suggest in my account of Frankenstein, some of this political content may have filtered unconsciously. I would like to address the depiction of different social classes in the film. In spite of the abstract social setting there is indeed a basic implicit class division between the working class of peasants and village workers and the upper middle class or aristocracy symbolised by the house of the Frankenstein. What is interesting in the depiction of this society is the sense of unity perceptible in the working classes. The Baron Frankenstein notes how they are friendly and gregarious on account of the beer and the celebrations of his son’s wedding and, later in the narrative, they unite again as an angry mob to stop the monster, even with Henry Frankenstein joining the crowd. This crossing across class lines was actually a phenomenon that was familiar to the early Depression population. The alarming ciphers of unemployment and the severity of the recession actually diminished class differences. Regarding the social stratifications that are formed in the film we could perhaps relate them metonymically or allegorically to actual social structures of 1930’s America. Certainly the depiction of the village’s population is part of this unconscious mirroring of external society, but the element that most clearly connects both is the peasant father of little Maria. This character might be interpreted as a metonymy of the fate of farm workers during the Depression. “When the crash shook the system, the fragile support for farmers collapsed. Farm income tumbled downward. Creditors forced farmer to sell their property to cover delinquent debt payments.” (Rauchway, 47) Whereas these labour conditions are not directly stated in the film, the peasant worker displays a proletarian dependence to his job which ultimately results in the death of her daughter. More importantly, in this respect, is the dialectic between capital and wage labour mentioned above, embodied on the one hand by the relationship between Henry Frankenstein and the monster and, on the other, by the dynamics between the working class population and the clashing figures of political power. We could interpret, with Franco Moretti, the Frankenstein family as the old commodity order of European aristocracy as it launches itself into the vertiginous market system of capitalism with the new generation of the house of Frankenstein. Moretti comments in his analysis of the novel: “Mary Shelley wants to convince us that capitalism has no future: it may have been around for a few years, but now it is all over. 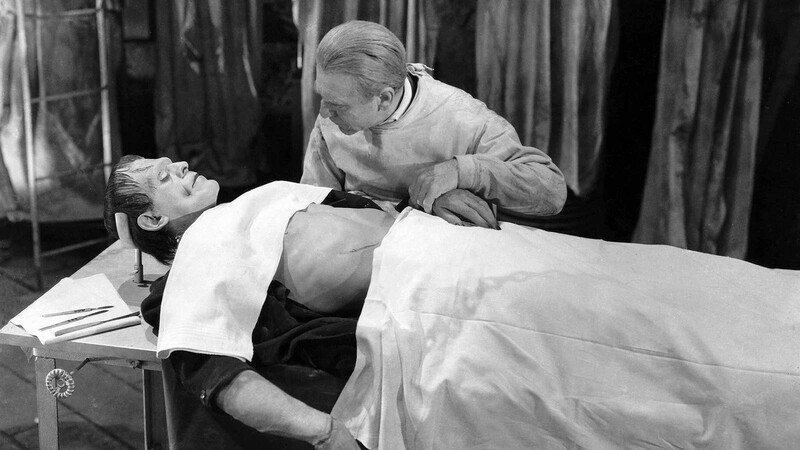 Anyone can see that Frankenstein and the monster die without heirs, while Robert Walton survives.” (72) James Whale’s Frankenstein ends on a slightly cheerier note with Henry recovering from his injuries and the baron Frankenstein proposing a toast for his own family. However, the clash between classes and value systems that underlies the plot does not seem to be completely resolved, and we are left with the feeling that yet another monstrosity might be produced to terrorize and even shatter the feeble grounds of our own society. Crítico y académico. Explorador de los abismos de la novela posmoderna norteamericana y el análisis cultural cinematográfico. Cursó estudios de maestría en McGill University.